From finding the right product to converting your shoppers into paying customers – the world of ecommerce is no cake walk. What you need is a wholesome diet to feed your hunger for useful ecommerce information. And that’s why we have decided to take you out for a date! We promise to put on the table the most interesting meal of your lives to satiate your hunger for knowledge – one that consists of 10 Must Read Books for a Thriving Ecommerce Business! Behold our tantalising appetizers! 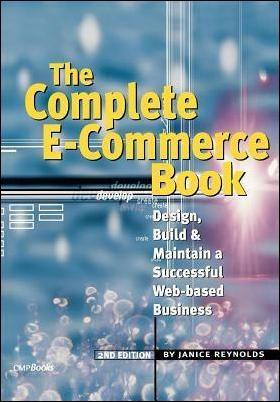 These books play an indispensable role in ensuring that you have all the information you need to start an online store. Take a look! Written by Janice Reynolds, a writer, speaker and consultant in information technology – this book is a dynamic one stop shop for all things ecommerce. A step by step handbook, it provides easily implementable solutions to real problems faced by ecommerce entrepreneurs. 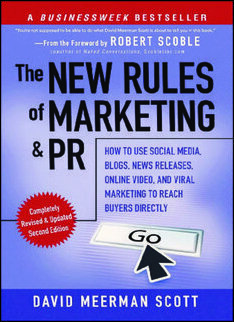 From design competency and server configuration to public relations and sales – seems like this book delivers detailed and useful information to tackle all aspects of ecommerce. A must read for those starting their e-store from scratch. For this very reason, it ticks of all the boxes in our checklist! 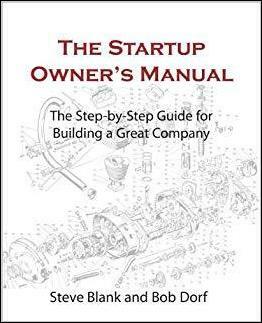 This book took the startup world by storm with its proven, reliable advice and lessons. Allow your ecommerce business to flourish using the detailed, step by step information provided by Steve Blank and Bob Dorf on the massive work behind setting up your business. Things to look out for – the Business Model Canvas and the Customer Development Checklists developed by the authors using 10 years of experience. We all know that the world of ecommerce is highly volatile. 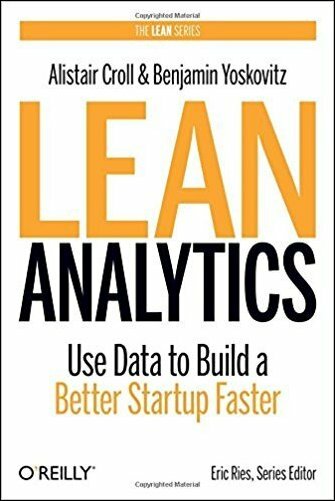 If you’re someone who’s stuck at the starting line despite having great ideas, this book is for you. In this short motivational book, Seth Godin talks about the importance of getting off your back and starting instead of waiting for the “right” time. 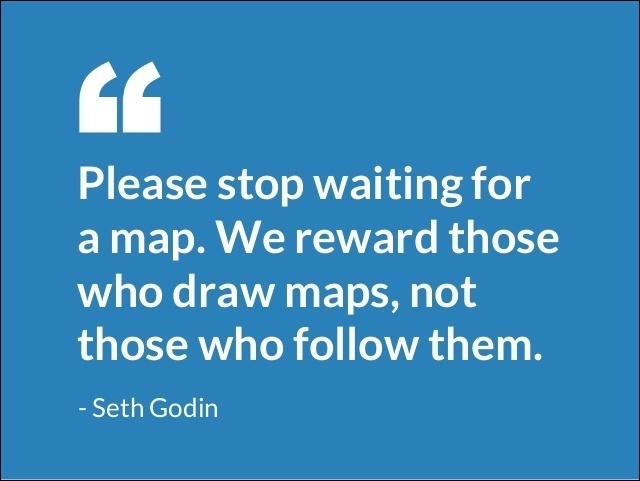 Favourite quote: Please stop waiting for a map. We reward those who draw maps, not those who follow them. Hungry for more? Of course you are. After our delectable starters, we present to you our scrumptious main course. Marketing, website optimisation, conversion, customer care – these books cover all the bases. Feast your taste buds on this essential information to get your ecommerce business running successfully. We had to add this New York Times Best Seller to our list. 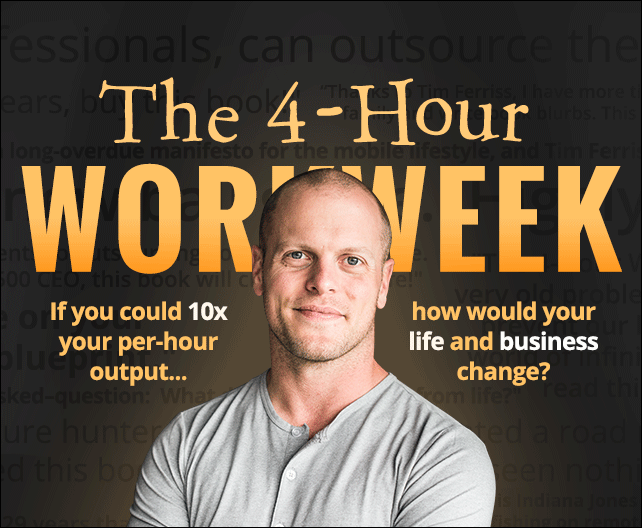 Written at a time when Tim Ferriss was working fourteen hour days at a sports nutrition supplement company, the book gives real-life tips that can make both your business and your life more wholesome. Firstly, it provides you with an extensive and exhaustive list of resources for suppliers, product creators, analytical tools and virtual assistants. Secondly, it gives you valuable pointers that shall surely make your life easier. Most importantly, it helps you make your life more productive. Feel free to check out this blog for how you can apply Tim’s principals to your ecommerce business. Pro Tip: Don’t have time to go through the whole book? Read the “Quicklet” on the book by David Lowe! It’s always good to learn from the best, right? However, while it’s easy to be awestruck by giants like Apple, IKEA and Nike, what you need to do is to break down the seemingly unattainable secrets of their success. So, do you say abracadabra, resort to voodoo or make sacrifices to the Almighty Marketing Gods? Neither, dear friends. 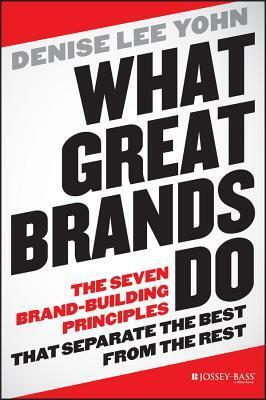 For Denise Lee Yohn Reveals the scientific approach and the seven key principles that the world’s best brands consistently implement to turn their businesses into successes. It’s foolhardy not to focus on marketing and social media when you run an ecommerce business. Gary Vanynerchuk reveals how your ecommerce business can harness all the changes and challenges inherent in the dynamic world of social media and turn them into tremendous opportunities for profit and growth. This book goes beyond dry numbers and mechanical instructions. It explains the benefits of not only embracing the social media phenomenon, but also understanding it fully. It focuses on building genuine relations with your customers and humanizing your business. Tip: We highly recommend that you checkout the audiobook as well since it is read by Gary V himself! We already know that he is a great speaker, but the frequent off-script moments are priceless. Social media plays a vital role in driving traffic to your ecommerce store. So how does one create and implement a successful social media strategy? Especially one that uses the latest web-based content like online videos, blogs and mobile applications? This bestseller has got you covered. Master marketer David Scott provides you all the information you need to raise visibility and increase sales using modern marketing tools and trends. It’s time for the most popular – and important – course. Just like your meal is incomplete without something sweet, your ecommerce business cannot succeed without analysing and learning from your marketing efforts. Driving sales and getting traffic has to be supplemented by an effective analytics plan and therefore we give you just the books you need to implement one! This book’s high rating speaks for itself. It helps you find out what metrics you need to focus on in order to connect to the right market and sell the right product. Learn from case studies and sample business models to get valuable insights which you, as an ecommerce marketer and entrepreneur, cannot do without. 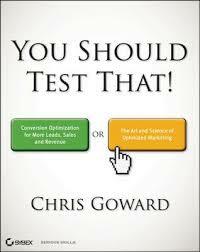 Just like the book says, conversion optimization is part science and part art. 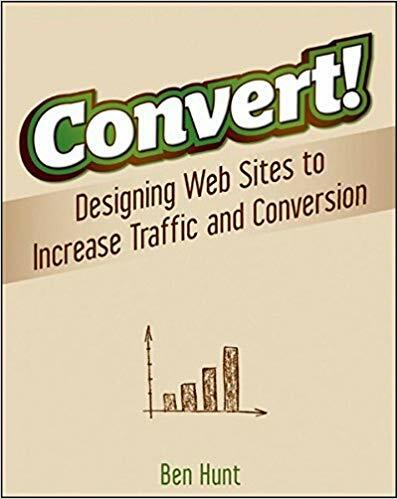 From finding the right value proposition for your products/services to knowing where to test and what to test, this book is a must read for those who wish to create a successful ecommerce website. Chris Goward, the founder of Wider Tunnel, teaches you how great conversion rates are the result of an ongoing process of rigorous testing, scrutinizing and experimentation. What’s the difference between an ordinary website and a great one? This is the question that web design expert Ben Hunt answers in his bestseller. You not only learn how to craft compelling calls to action and optimise your website but also get a rich understanding of your market in the process. Read along and you shall certainly be converting website visitors into customers in no time! Surprise Surprise! Just when you thought the meal was coming to a close! Everyone needs a little inspiration now and then and therefore, we present to you this choicest morsel to keep you going. No one starts big and this collection of interviews with founders of famous technology companies teaches you just that. The wise anecdotes and funny discoveries shared in this book shall leave you inspired. Get set to learn and grow as an entrepreneur as you read about the early days – and mistakes – of founders like Steve Wozniak (Apple), Caterina Fake (Flickr), and Sabeer Bhatia (Hotmail). It’s rate 3.9 out of 5 on Goodreads! That’s the end of this meal folks! In many respects, ecommerce is one of the most lucrative types of business you can get into today. However, it’s a volatile business because it relies heavily on service quality, web design and functionality. Thankfully, there is a lot of good reading material to show you the way. We hope you enjoyed the spread we laid out for you. Do let us know if there are any other books that you’d like added to our list.